What goes into making a location attractive as a tourist destination? Geographic locations are inviting to visitors for a multitude of reasons. However, one thing is guaranteed not to be what travelers are thinking about when making travel decisions – county lines. Yet New York State is divided into many counties, all with their own local treasures and unique appeal. Destination marketing organizations (DMOs) continually strive to answer the question within this marketing paradigm – how to promote tourism across an entire region, when it has so many individual moving parts? The truth that proves success over and over is simply working together to achieve a result that is bigger and better than any individual component. Collaborative marketing strategies are the key! According to US Travel Association, in 2016 (2017 data isn’t yet available) domestic and international travelers to New York spent $76.4 billion! That alone is reason enough to encourage the travelling public to travel often and for longer periods of time. We also know that the modern tourist is more attracted to experiential-based travel and less focused on merely visiting and sightseeing. Leaders in New York State’s tourism industry are finding ways to work together to provide an inviting and highly desired travel experience that meets the needs of our many visitors. 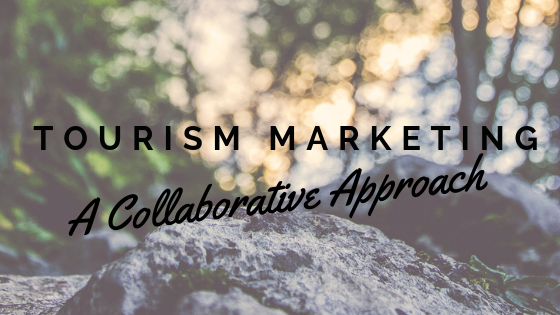 There are many partnerships that have been formed both regionally and state-wide offering travel itineraries with multiple locations. I’ve been involved in several projects that offer these types of itineraries and have seen first-hand the success they bring. Although working as a collaborative competitor is not a simple undertaking, creating these strategic alliances is well worth the effort. To put together a travel plan that includes multiple locations and geographic regions takes a lot of hard work. There must be clear goals established, and open communication. Everyone must do their part and at the same time be mindful that all involved are comfortable with the direction and ultimate final product. Working together for a common goal is not just successful, it’s energizing and motivating. The synergy of collaborative efforts provides an end result that is hard to surpass. It is this type of collaboration that creates an experience for visitors, not just a trip. Forgetting county lines enables our guests to see the best we have to offer and encourages them to come back for more! The 9 Days in New York State itinerary features the Hudson Valley, Syracuse and Buffalo. I’m involved with another tourism partnership between Niagara Falls, Finger Lakes, Adirondacks and 1000 Islands. Together we produced an itinerary called Discover New York’s Wild Side. Other state-wide and regional collaborations worth checking out are Wine, Water & Wonders, and GoNorth.